Polyflor are a renowned, global flooring brand. Formed in 1915, they have gone from strength to strength over the past century and following WJD Flooring’s formation in 2008, we have made it our aim to stock and sell the leading brands in the industry. 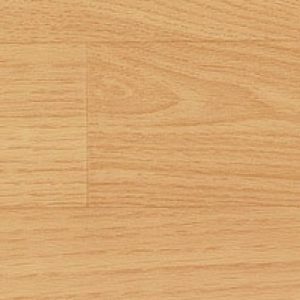 When it comes to vinyl tiles, Polyflor Tiles perfectly meet our criteria. The Polyflor Vinyl Tiles range that our customers can browse through online is extensive to say the least. We have in excess of 100 different vinyl tiles types from Polyflor for our clients to choose from. Available in an assortment of colours, patterns and styles, they are sure to find something to meet their exact requirements. Every design is unique in its own way and we also provide Polyflor Loose Lay Tiles within this section. Ideal for a host of different applications, Polyflor Vinyl Flooring perfectly suits both commercial and domestic properties thank to the massive choice that is available. Whether you require Polyflor Tiles for your home or for installation in buildings in the educational, commercial, hospitality or healthcare sectors you will be able to find something that looks fantastic! If you would like to hear about Polyflor Vinyl Tiles from a member of our helpful staff then do not hesitate to get in touch with the WJD Flooring team. We can provide you with any information you need about Polyflor Vinyl Flooring and can also discuss our entire range of flooring products. Contact us by calling 01744 885514 or by emailing info@wjdflooring.co.uk. We can also provide information about our professional flooring fitting service.